Whatever style of replacement windows or doors you require, Windows Guide's professional and recommended installers will provide you with free quotes to help you source the best price. Get the best quote from our network of nationwide trade professionals. All our ratings & reviews are from genuine customer feedback. Choosing the right conservatory style for your home can be tricky. Let us know where you live and what job you need doing. 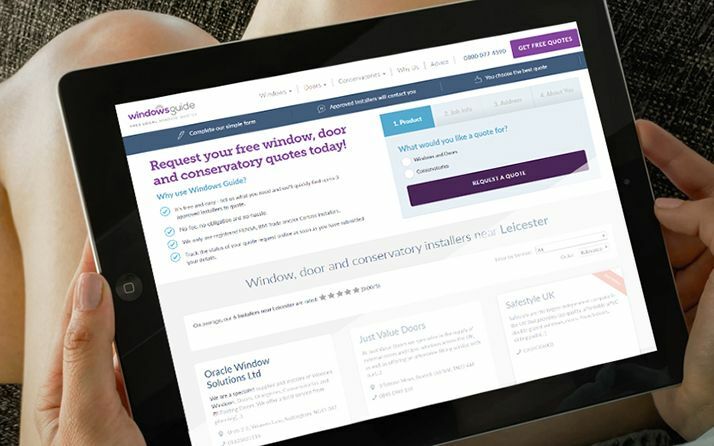 Up to 3 recommended installers will contact you to arrange a suitable time to provide your free, no obligation quotes. Once you have your quotes, just choose the one you prefer. It's simple and hassle free and there is no charge for requesting a quote. We expect nothing less than the best from our installers. Tell us how they did and we'll publish your feedback on Windows Guide. Kinloch Builders and Joiners Ltd. Excellent workmanship, most helpful and would use them again. No pressure - just helpful and informative about the options available with everything agreed within 90 minutes and just the professional measurement to be completed. Do you need better sales leads to grow your glazing business? Windows Guide is the go to place for regular job leads. We work with some of Britain's best installers. With UK wide jobs posted daily, you could be missing out on regular work. No contract, no membership fees and no hidden charges. Only pay for the job opportunities you want. A fair price for quality leads. Your own web page on Windows Guide. A hassle free way to market your business. Find trusted tradespeople in your area. Choose your region from the map to begin your search. Alternatively, search by entering your postcode below.